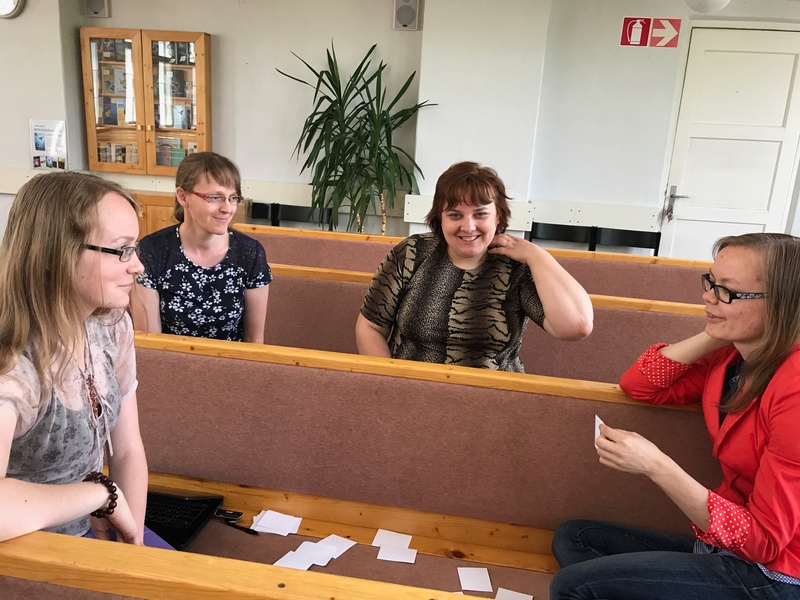 On 17 June 2017, the active members of Tartu Adventist church (Estonia) came together to learn about Messy Church. 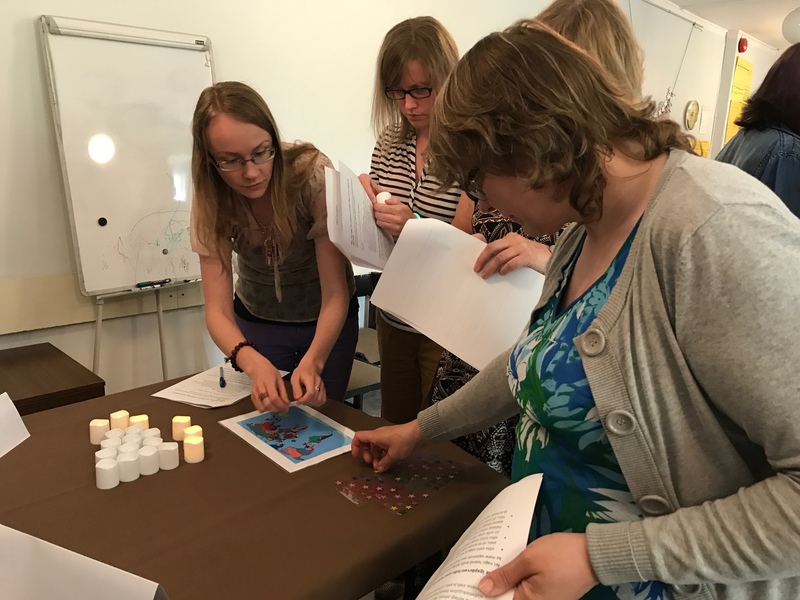 The concept of Messy Church was actually born in Church of England, when a group at St. Wilfrid’s in Cowplain were frustrated because they did not seem to reach children with God’s story (https://www.messychurch.org.uk). So, they tried to create something interesting and appealing to all ages, and as the results showed, they succeeded. The idea spread quickly across the denominational borders. 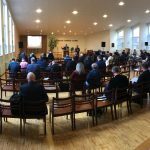 Now, many Seventh Day Adventist churches have embraced the idea of Messy Church and organise it successfully in many countries. In the Baltic Union, there are Messy Churches already in Latvia and Lithuania. The special worship events are done mostly once a month. All church members can be included in preparations, during the event, and after, helping to put things back in order. It is something that church can do for the community. Clair Sanches Schutte (Children’s and Women’s Ministries’ Director for the TED), who conducting the Messy Church training in Tartu, talked about how people had accepted Jesus thanks to Messy Church, how they had discovered the place and faith community they wanted to belong, and how their lives had changed for the better as a result. 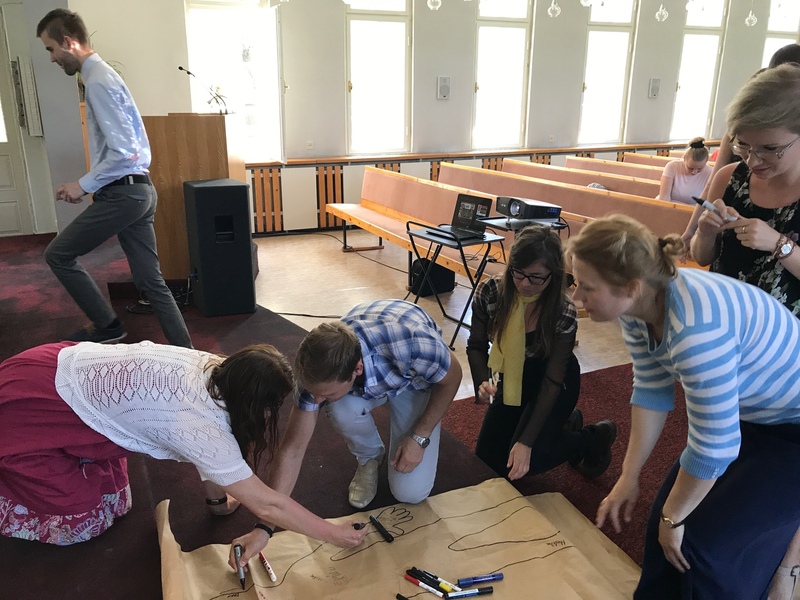 The training was very much liked by Tartu church members. 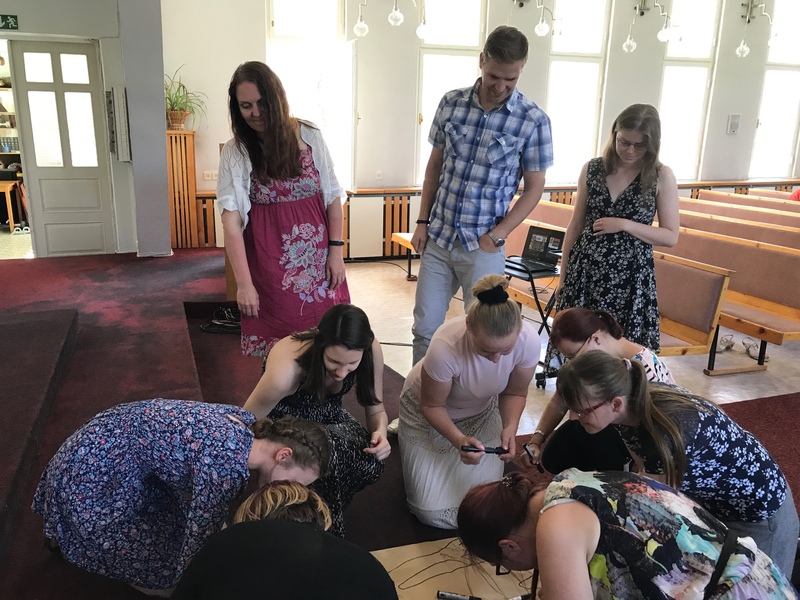 Pastor Hele Kulp believes that Messy Church is a good possibility to improve the outreach of church. 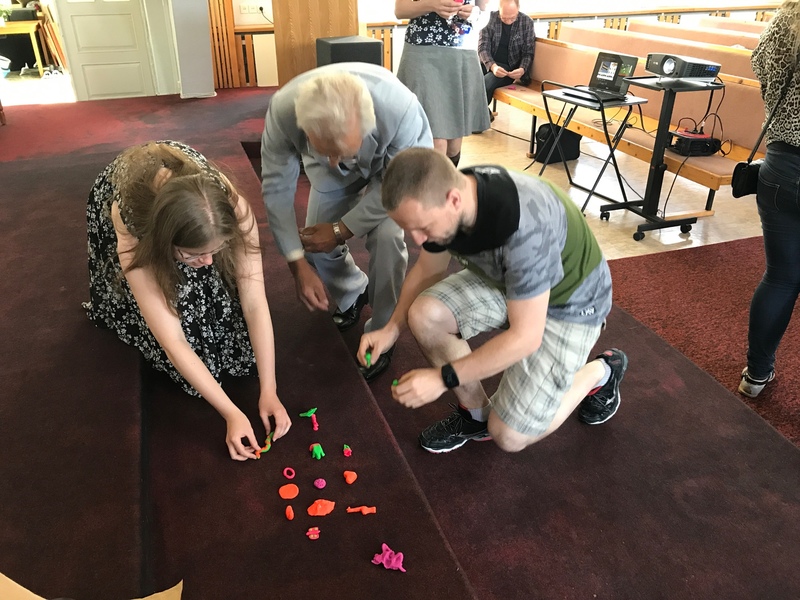 At the same time, she sees it as an opportunity for church members to experience what it really means to communicate with people from outside, what is means to follow the instruction of Jesus to go and make disciples. She recognises that a lot of prayers are needed, as well as careful planning, and responsible and dedicated work. But she is hopeful about the future, and believes that God can and will help. 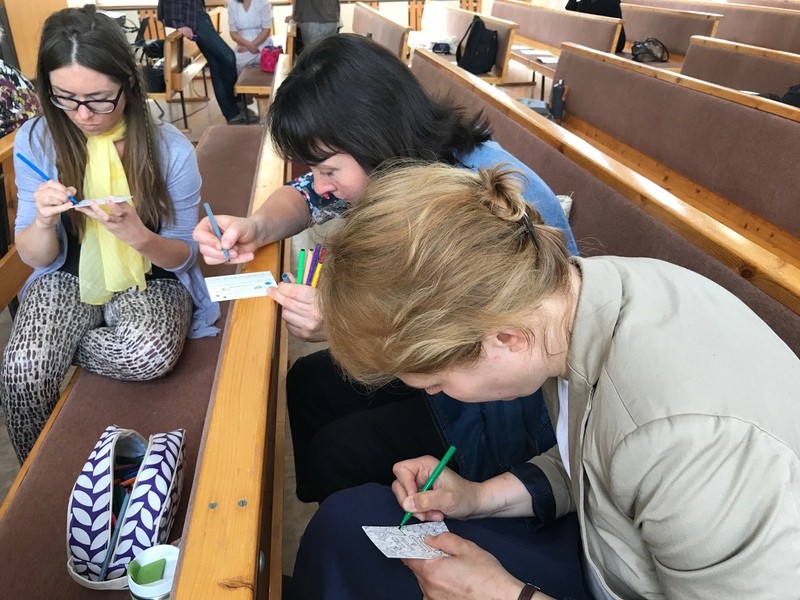 The Children’s Ministries’ leader of the church Annika Kaljuve wants to start serious planning already in September. 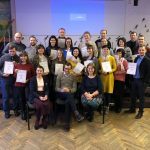 Young church member Theodora Nõmmik expresses her willingness to help and believes that if we make it interesting for our own children, they will invite also their friends. 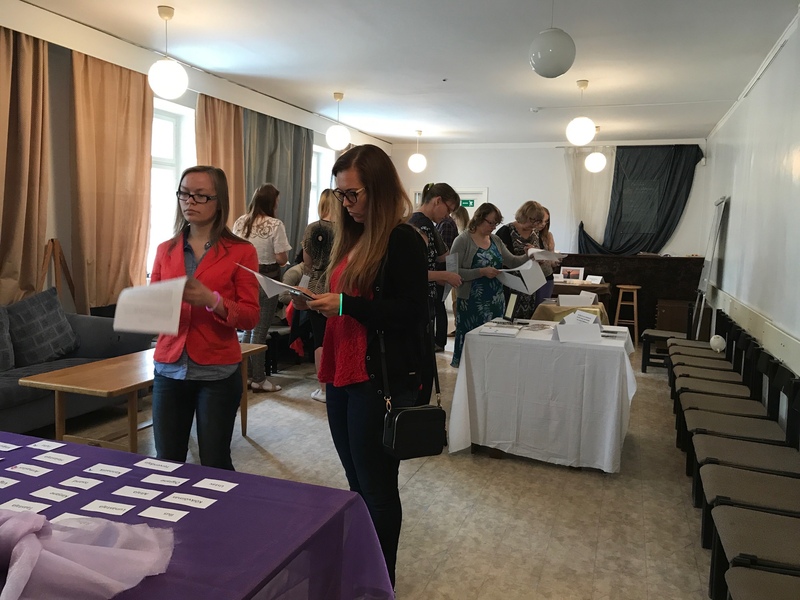 The next day, on Sunday, women from different churches of Estonia came to Tartu to learn about Girls for Christ, a mentoring programme, which helps women in church to mentor and guide young girls. The programme is developed and written by Clair Sanches. She said that very many people have stayed in church because there was somebody in church, who took notice of them, talked to them and listened to them; somebody who cared. 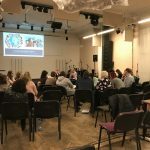 The programme consists of five parts: Bible study, prayer, crafts and service projects, health and lifestyle, and socialising. Our training with Clair started with the creative Bible study. 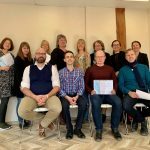 “You cannot give others what you do not have,” Clair said, and encouraged us to find our own favourite Bible study method, so we could indeed always look forward to studying God’s Word. We tried out many different activities from the programme manual and it was very interesting and engaging. 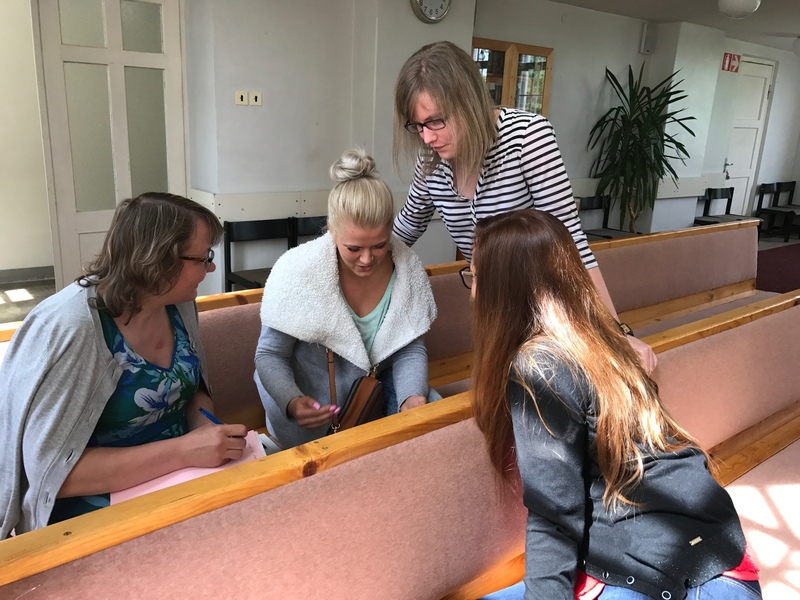 Laura Kangur from Tallinn new church plant liked especially the practical side of the training, which in the future, she believes, can be done with girls. 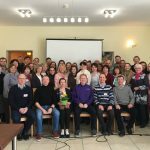 For Ly Kaasik from Rakvere church the importance of individual work with people was what became clear from the training. 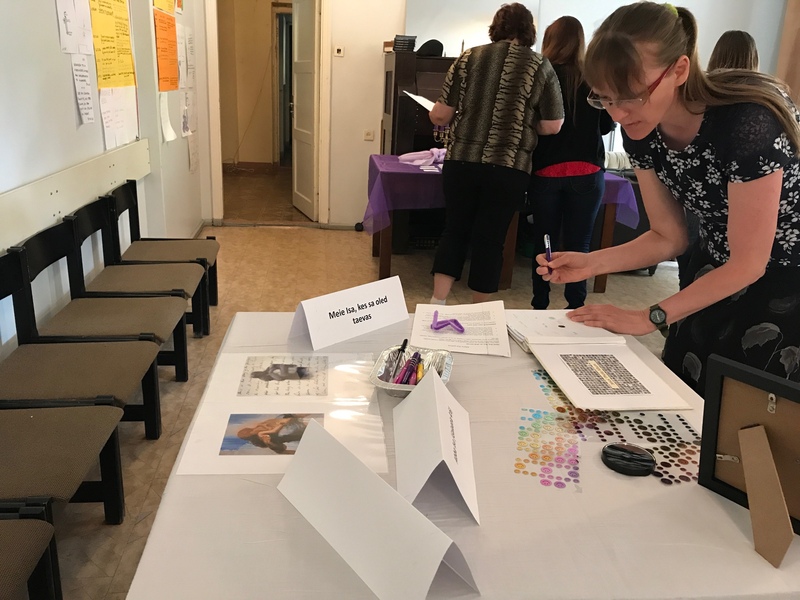 She also got many good ideas that she can use when making events for children. Laura and Ly both emphasised the importance of consistency and dedication in this kind of work. We are all very grateful to God for Clair’s dedication and talents. She will be in our Union again in November, when she will be introducing Girls for Christ in Latvia. 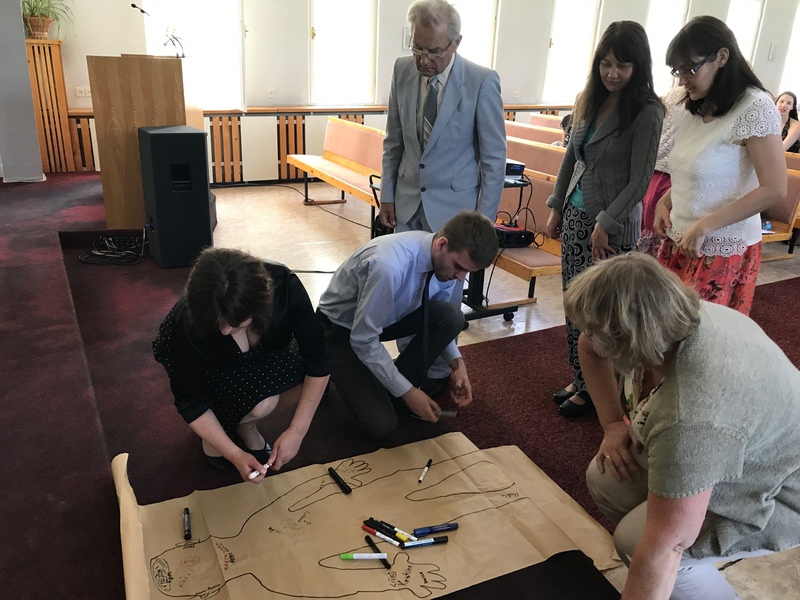 This entry was posted in BAUC, Children, Estonia, Evangelism & Mission, News, Women's Ministry, Youth. Bookmark the permalink.